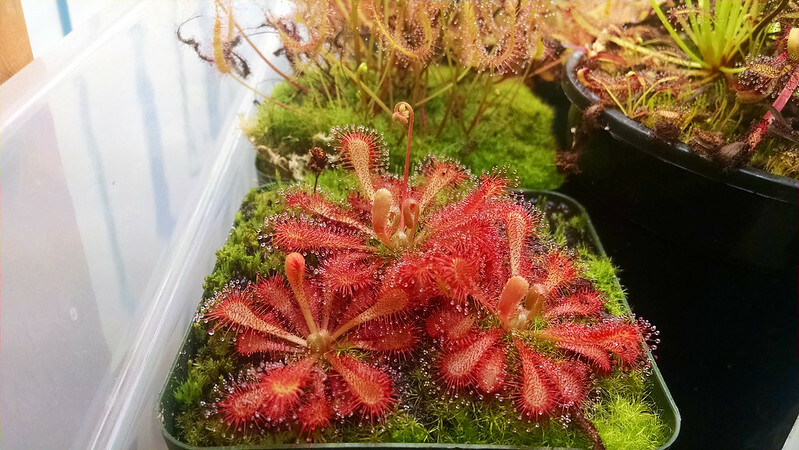 Flowering age: various Drosera |Sundews Etc. Let's do a little overview of how long it's taken various of my plants to grow to flowering size, either from seed or from leaf cuttings. I started Drosera burmannii, Drosera intermedia 'Cuba', and Drosera capensis 'Albino' at the very end of 2013, and they all germinated in mid-January of 2014. D. intermedia 'Cuba' was the first to flower, on the 11th of April, only 3 months after germination. D. intermedia 'Cuba' seedlings, mid-January 2014. D. intermedia 'Cuba' flower stalk, 4-11-2014. Then we had the D. burmannii flowering on the 16th of May, 4 months. 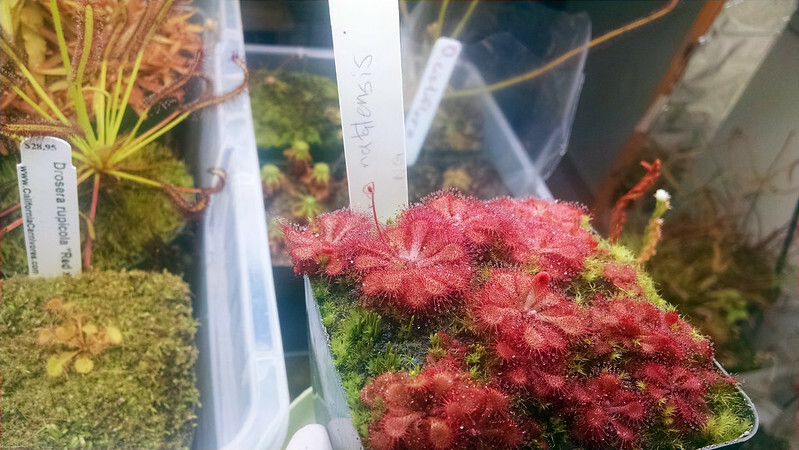 D. burmannii seedlings, mid-January 2014. D. burmannii flower stalk, 5-16-2014. The D. capensis 'Albino' took the longest, sending up a stalk on July 4th, just under 6 months. 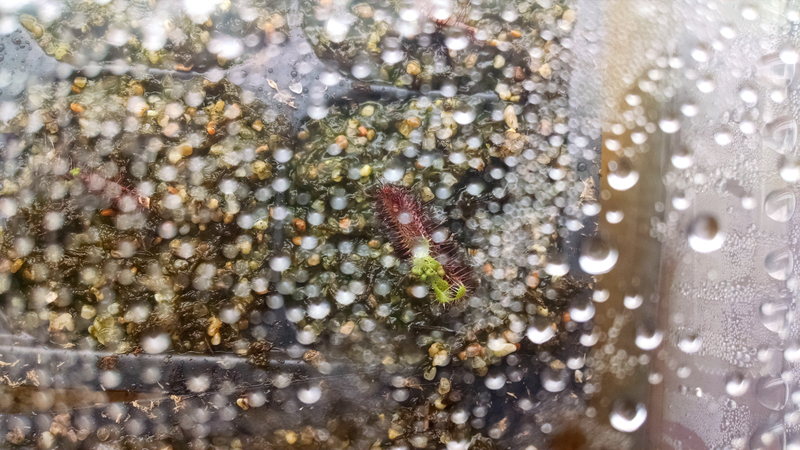 D. capensis 'Albino' seedlings, mid-January 2014. D. capensis 'Albino' flower stalk, 7-4-2014. 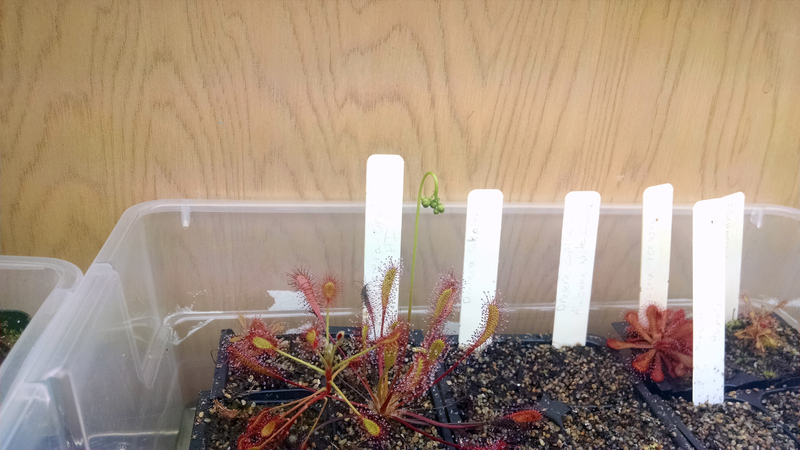 Last spring I got some Drosera natalensis seeds from Natch Greyes, which germinated in mid May of 2014, and started blooming just a couple days ago, on February 13th, 2015 – 9 months. Bear in mind though that these guys got no food for the first 3 months of their lives, and then had a huge growth spurt once fed. D. natalensis seedlings, mid-May 2014. D. natalensis flower stalk, 2-13-2015. 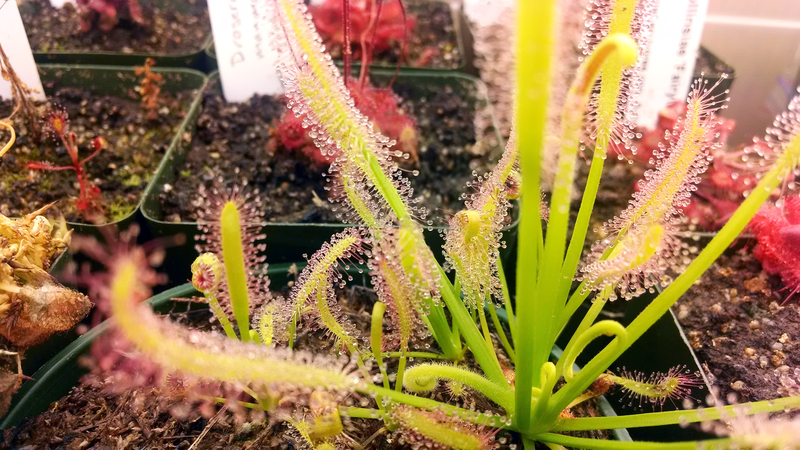 Another really speedy plant is Drosera sessilifolia. 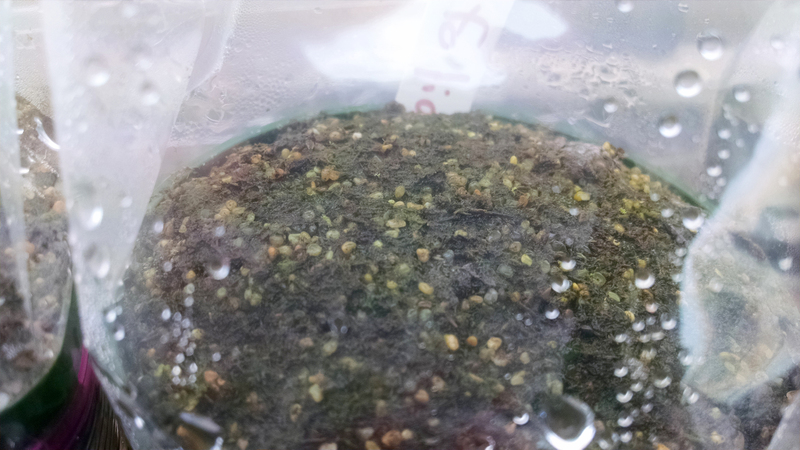 The seeds germinated on September 21, 2014, and with a lot of feeding the first ended up blooming on February 11th, 2015 – just under 5 months to flowering size. D. sessilifolia flower stalk, 2-11-2015. Those are the only plants I've started from seed that have bloomed, but I do have a couple of species blooming right now that I propagated from leaf cuttings. 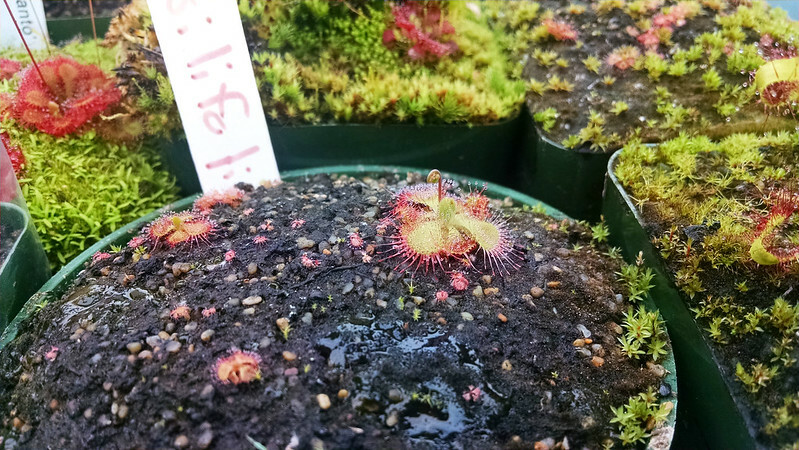 First is Drosera ultramafica × spatulata. 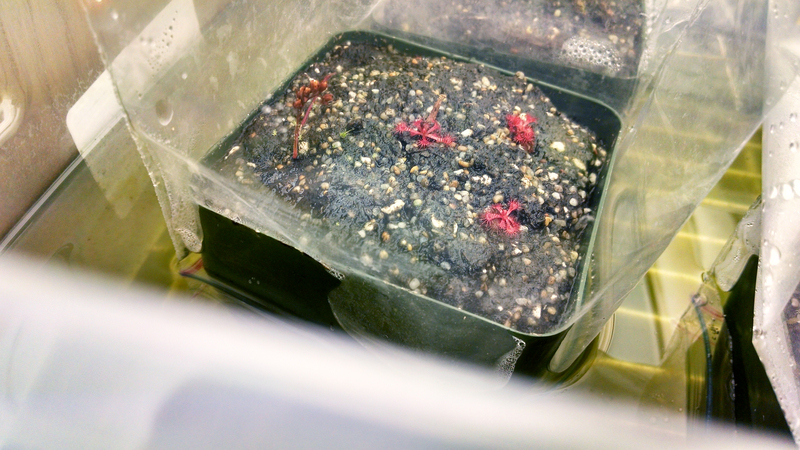 The cuttings struck in mid-June of 2014, and the first plant flowered on February 12th of this year, 8 months total. 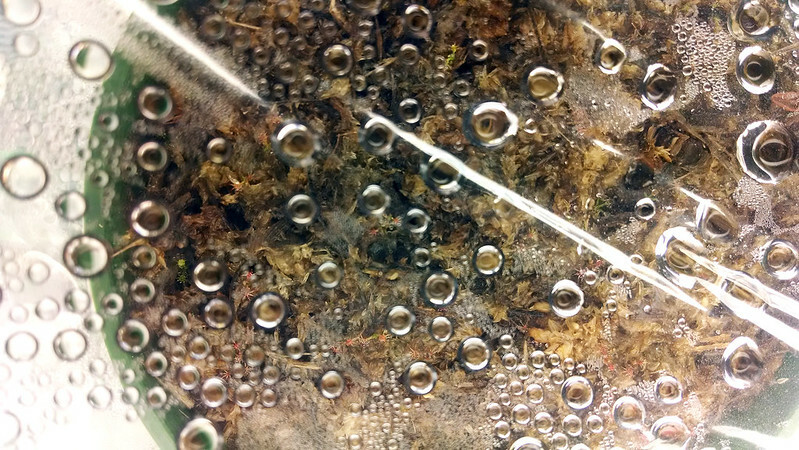 D. ultramafica × spatulata strikes, mid-June 2014. 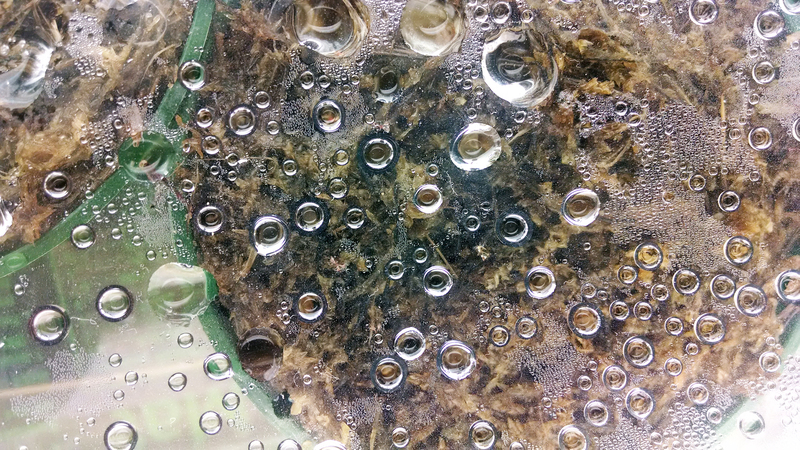 D. ultramafica × spatulata flower stalk, 2-12-2015. 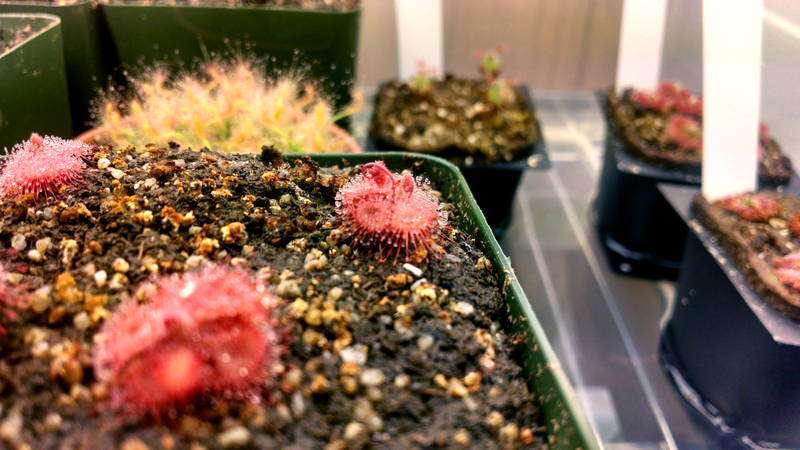 The cutting I'm proudest of is the Drosera anglica CA × HI, which is one of the best plants in my collection. It was one of the earliest strikes in the Summer Batch, on August 4th, 2014. I noticed the bloom stalk (already well developed) at the beginning of February of 2015, so it probably started blooming just after the new year. That's only 5 months, and it's a big, strong plant. D. anglica CA × HI strike, 8-4-2014. 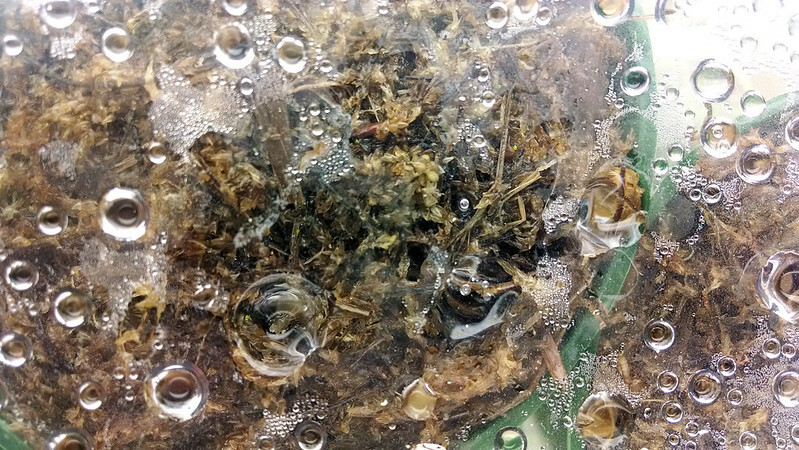 D. anglica CA × HI flower stalk, 2-2-2015. I remember when I was first getting into growing plants the idea of waiting for 4 months to get a mature plant from seed seemed like forever, but at this point I'm already thinking things like, "Well next season when my pygmies produce gemmae..."I hope this post encourages some people to try out starting new species from seed. 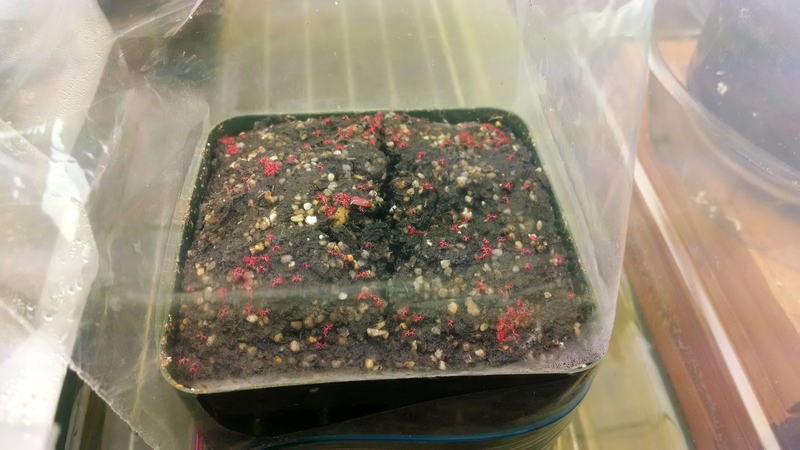 It's not very difficult (I still need to write up a Cultivation Guide on it though) and it's extremely rewarding to watch the seedlings grow up. 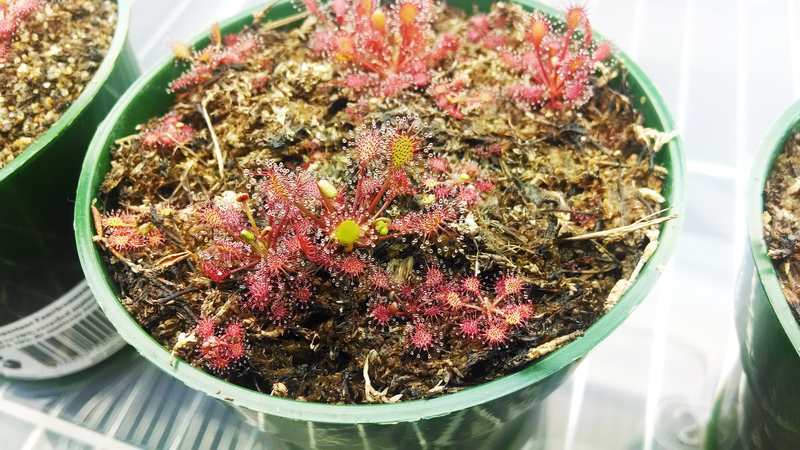 The most important thing to remember in any propagation effort with Drosera is that feeding is crucial. The reason that my D. natalensis and D. ultramafica × spatulata lagged behind the others is that they weren't fed all that much early on. Even just 2 or 3 feedings of seedlings will give them a huge boost in life. Good luck!